Growing your own medicinal herbs is a great way to naturally address particular health issues. There are many herbs out there that when used correctly can treat certain ailments, but as a home gardener, it is best to begin with a few simple herbs that are recommended for their wide range of health benefits and basic healing properties. 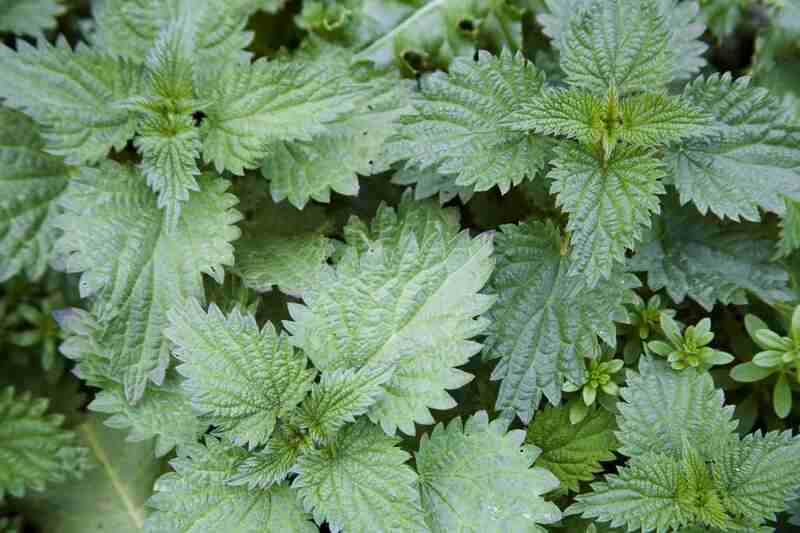 Nettles are easy to grow, full of micro-nutrients, and add a healthy punch to many dishes. They are high in iron and potassium, and the leaves have been used to treat wounds and relieve pain. Try growing nettles in an area where they are allowed to reseed themselves; if you continue to harvest the small plant, you will end up with fresh greenstuff throughout most of the growing season. Don't forget to wear gloves when harvesting—nettles have a harmless but unpleasant sting if brushed. Because nettles can be harvested multiple times, they can be planted in front of taller landscaping. If left to their own devices, nettles will grow over 6 feet tall. They are not tasty at this stage, so unless you are growing them for a plant barrier, keep them pruned to a more controlled level. Dandelion is often considered the bane of a lawn lover's existence. This is a shame since dandelions are one of the most multipurpose herbs out there, possessing both culinary and medicinal properties. The leaves are eaten as tasty spring greens, and the blossoms are used to make jelly and fried in the bud stage as a delicious side dish. The delicate petals are added to salads and as a lovely edible flower, and the root is also used, dried and ground as a substitute for coffee. As a medicinal plant, dandelion is a pain reliever, tonic, and skin treatment. The blossom is added to oil and infused to relieve aching muscles. The leaf and root are used in teas, tinctures, salves, and oils as a liver tonic, as well as an application to sooth skin and relax muscles. Full of promise, these cheerful plants make a great addition to the herbalist's garden. Calendula is an important addition to a healer's garden. Its striking orange flowers are used as a soothing skin wash, tea, and salve. Because it is so gentle, calendula is often an ingredient in diaper salves and other baby related skincare items. They are edible and make a vibrant addition to a salad as well. Calendula offers a beautiful spot of color in any landscape. The flowers will readily reseed themselves, so consider this when planting. Look for plants that are sticky with resin, for this is the medicinal quality that you need. There are many cultivated varieties that may or may not work in the medicinal sense; Calendula Officinalis is a good variety to look for. Burdock, often called Gobo, is a common herb that is overlooked in American gardening but is common in Asian cuisine. It offers nourishment to the body, particularly the urinary tract, liver, and skin. Its root is used as a blood purifier and the leaf can be applied as a poultice to draw out infection. The seed is a much stronger medicine and should be used with caution, not recommended for the home gardener. Chamomile is a sweetly scented, light tasting herb that is best known as an additive in tea. This herb's medicinal properties as a gentle soother have been well known for thousands of years to settle stomachs and calm anxiety. Some studies have shown that when chamomile is used in combination with other herbs it can have additional health benefits, such as easing nausea and vomiting, as well as heartburn and upset stomach.